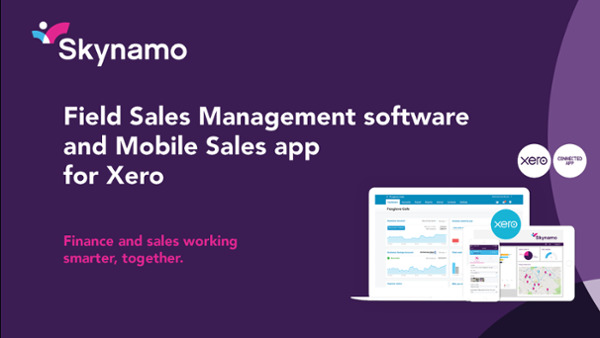 Skynamo, the Xero add-on for your field sales reps.
Finance and sales working smarter, together. Improve cash flow by giving your sales team access to Xero from the field. Skynamo is Xero’s first South African CRM add-on app for Xero users with sales teams that regularly visit customers collect information and conduct retail audits. The Xero-Skynamo integration enables sales reps to access accurate pricing and product information and more…from the field! New to Skynamo? Find out the Top 10 Reasons to choose Skynamo for Mobile Sales. Sales reps get an instant view of outstanding balances, billing status, as well invoices and invoicing history. Sales teams can review items invoiced. Load a price list specific for a customer, customer type or industry. Integration and synchronisation of data between Skynamo and Xero ensure the finance team share the same customer data as the sales team. Easily import and synchronise all customer and product information in Xero and enable reps to access this data while on the road. We’d like to work together to build up the Xero ecosystem of value-added apps and services for Xero users. Are you a Xero Accounting Partner? Get in touch with us to learn how Skynamo can reduce admin and increase cash flow for your clients. Ask us about our Xero Accounting Partner Referral Programme and earn monthly recurring revenue from Skynamo. Are you a Xero App Partner? Get in touch with us to discuss how our apps can work together to create a stronger Xero ecosystem. Ask us about our Xero App Referral Programme and earn monthly recurring revenue from Skynamo. Contact us for a fantastic demo and engaging discussion on how Xero and Skynamo can - together - increase your cashflow.